San Pancho’s La Patrona Polo & Equestrian Club to host the top equestrian event in the region from December 6-9, 2018. All the passion of the “Sport of Kings” will be on display at the VII Riviera Nayarit Polo Cup, celebrated from December 6-9, 2018, at La Patrona Polo & Equestrian Club. The club is considered one of the best designed clubs in the country and lies tucked away in the tropical jungles of San Francisco (San Pancho), Nayarit. 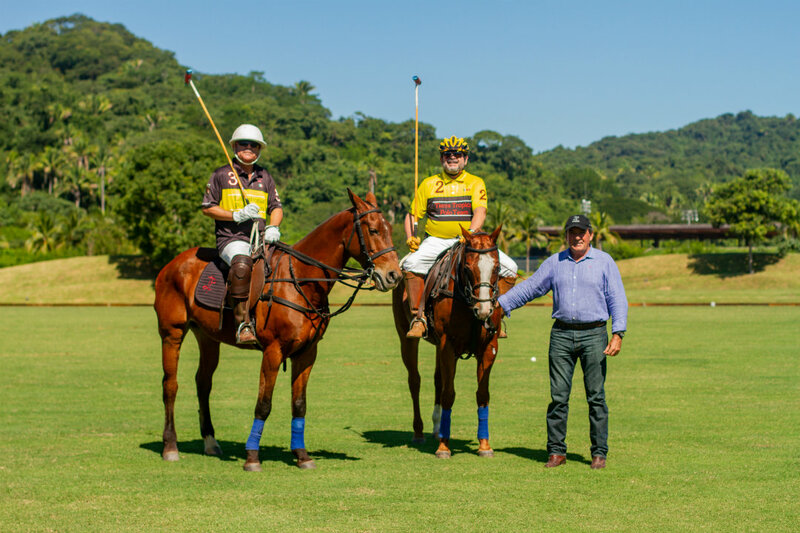 Although it’s the cup’s seventh year, this is only the second event hosted at the inimitable La Patrona, which continues to boost this equestrian activity as one of the destination’s luxury options. Details were shared during a press conference held at the Tierra Tropical polo lounge. The event will welcome several top international players, with Canada as the guest country. The goal is to put Mexico and the region on the world map. 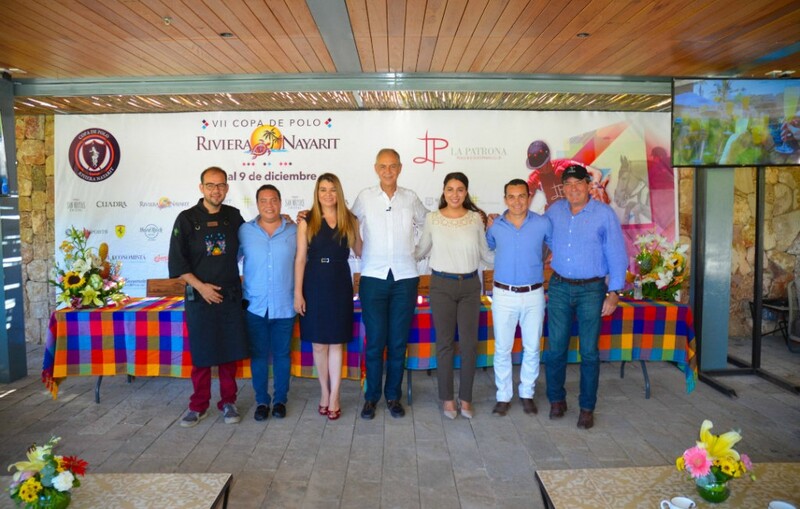 Present at the event: Rubén Carrillo, managing director for Tierra Tropical; Silvia Duarte, Groups and Events manager at the Riviera Nayarit CVB; Hugo Ahumada, executive chef for La Patrona Polo & Equestrian Club; Martín, Harriague, polo manager at La Patrona Polo & Equestrian Club; Claudia Vallarta, representative from the Nayarit Ministry of Tourism; and Froylán Caballero, director at Top Sports. Rubén Carrillo, managing director for Tierra Tropical. 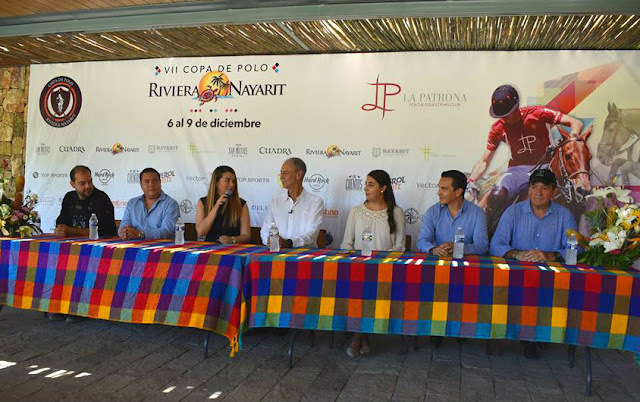 He added this is the second consecutive year that La Patrona hosts the polo cup thanks to the support and initiative of the Riviera Nayarit CVB. 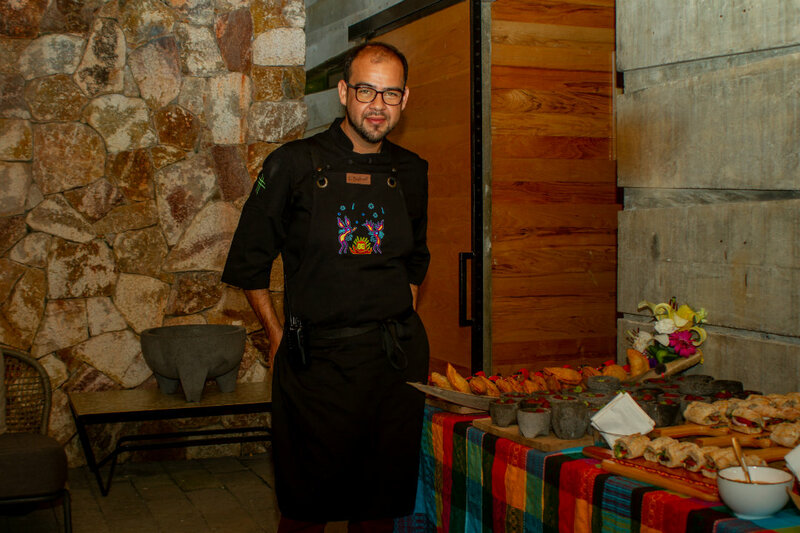 Hugo Ahumada, executive chef for La Patrona Polo & Equestrian Club. Silvia Duarte, Groups and Events manager for the CVB, highlighted the promotion and diffusion of the event, which dovetails perfectly with one of the key assets of the Riviera Nayarit: luxury. Martin Harriague, La Patrona’s polo manager. 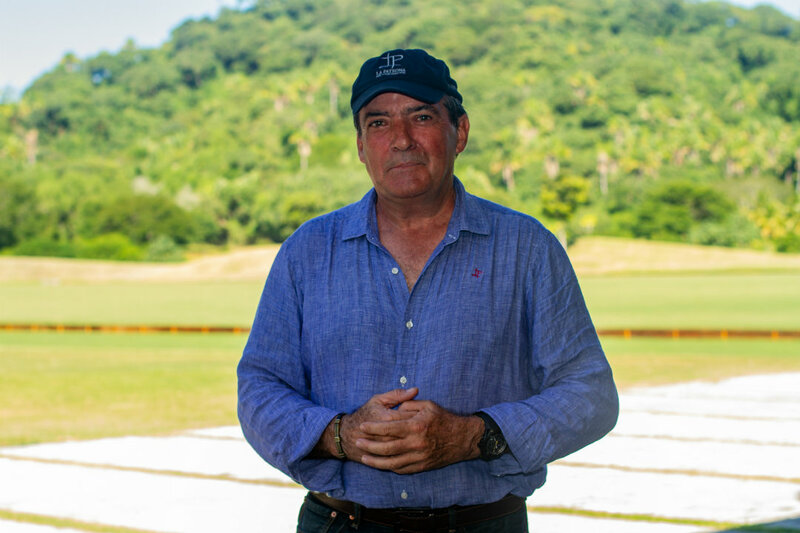 Martin Harriague, La Patrona’s polo manager, talked about the event program and the competing teams. The tournament will include four handicap goals with players from Mexico, Portugal, and Canada. There is currently an alliance in place with the polo club from Calgary. The culinary experience is one of the highlights of the activities for the VII Riviera Nayarit Polo Cup. The repast will include creations from Hugo Ahumada, executive chef for La Patrona; Jesús Vázquez López, from Loma 42 and Emiliano in the city of Tepic; and chef Miriam Flores of Miriam’s; as well as specialty drinks by mixologists Oscar “Gogol” García and Jorge Pizá, of Tequila San Matías. Art will also be showcased in exhibits held at the Tierra Tropical Beach Club gallery, which will also the “Sunset Fashion Show”—a presentation of Mexican design to the world—, as well as yoga classes and other surprises. 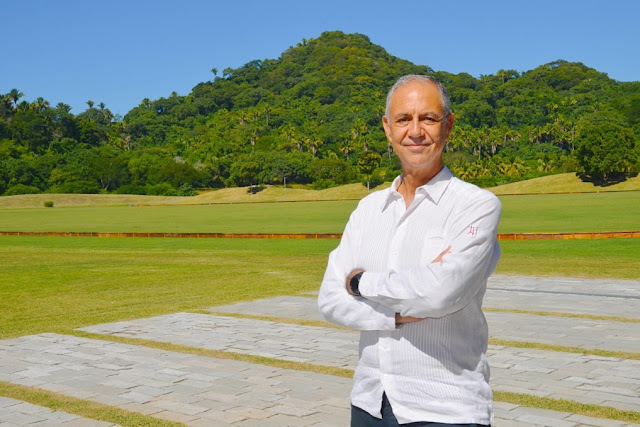 Riviera Nayarit reaffirms its status as an ideal destination for sports tourism thanks to the many world-class events that take place here with the support of the Government of the State of Nayarit via the Tourism Promotion Trust (Fiprotur).